Yes, Wolff’s content, and his uncommitted relationship with accuracy, has caused its own firestorm. For me, however, the lessons to be learned are in public relations, not narrative pseudo-journalism. 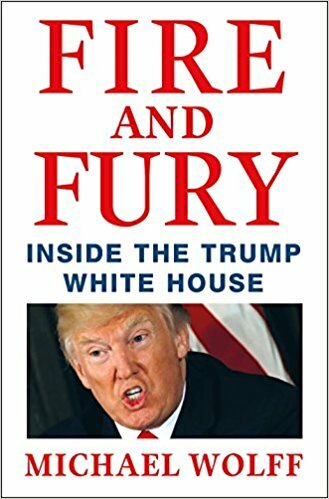 Mistake #1: Wolff’s White House access, which created much of the book’s tastiest morsels, seems to be the result of organizational chaos (the Trump White House’s sustenance). With no clear permission or denial, and a vague endorsement from Trump, Wolff was granted access to observe, while Bannon assumed Priebus approved, while Priebus assumed Kushner … , etc. A clear center of decision-making authority in these access requests, though an impossibility in the Trump White House, is the remedy. While it’s disturbing to consider that these political professionals were more concerned with their own survival than the President or the country, such is the amoral worst of high-level politics. It should not be accepted as reasonable, professional behavior, regardless of how close to the apex of political power it occurs. Mistake #2: A peremptory Internet search would have alerted Trump’s White House staff that Wolff was not a good fly-on-the-wall candidate. His take-down pieces on everyone from Rupert Murdoch to Christopher Hitchens were there for the Googling. In 1990, I was director of public information for Azusa Pacific University. A local news radio personality asked if we were interested in hosting a discussion of Malathion, a controversial insecticide being sprayed to control an invasion of Mediterranean fruit flies. Sounded good, so I agreed. The personality, it turned out, was shock jock Tom Leykis, at his last stop before nationwide syndication. I should have known better, but I didn’t. Alerted by a frantic APU alum, I turned on Leykis to hear him announce the anti-Malathion rally at Azusa Pacific, timed for an actual spraying. Attendees would stand in the open and dare the helicopters to spray them. Standard academic discourse. After I canceled the “rally,” Leykis characterized my reversal as a weak-spined concession to alumni pressure. I suppose that was charitable, considering the real reason was my inept unprofessional stupidity. In the same way, allowing an author like Wolff such access is a doubly-incompetent media relations breakdown by the White House, thus creating an avoidable public image crisis. My master’s degree from Cal State Fullerton is in public relations, particularly agenda building in the media, and many of my students are public relations majors. I try to pass along advice to them from my experience and studies, while teaching them their required journalism courses. The best advice I give them overall is, “just say no.” They don’t have to do journalists’ jobs for them (echoing journalists’ complaint that they don’t do law enforcement’s work for them, either). PR folks don’t have to allow journalists access to private property, even if a crime is being investigated. And they certainly don’t have to give a best-selling author access to secure government offices, due diligent Googling or not. Sure, overall, they will do their organizations wisely by counseling access at appropriate times and not locking down the media 100 percent. It’s a tough balance to work out, but it’s possible. Their main responsibility is to their organization, however, and an automatic “yes” to media access can cause much more damage than an initial “no”–as the Bannon-Priebus-Kushner brain trust demonstrated in creating this Fire and Fury.